← Excuse to Breakfast – Is this the project for you? Careers fairs. You’ve seen the Tweets, the banners around campus and the emails that are sent to you every week. The Autumn Graduate jobs and Internships Fair is just round the corner, but why do you need to go? Why is it a good idea to go to a careers fair when you could be watching Breaking Bad, shopping at Trinity or preparing for an evening at Fruity? There are a multitude of benefits that come with going to a careers fair, both for you and the employers that are there. Think about it this way: why would employers come to careers fairs or events if they didn’t think that they would be beneficial to both their company and the students that attend? Employers come to fairs to scout the best talent, to encourage bright, innovative students to join their ranks! So that offers an insight in to why employers come, but why should you come? As James and Jessica said, preparation is key! 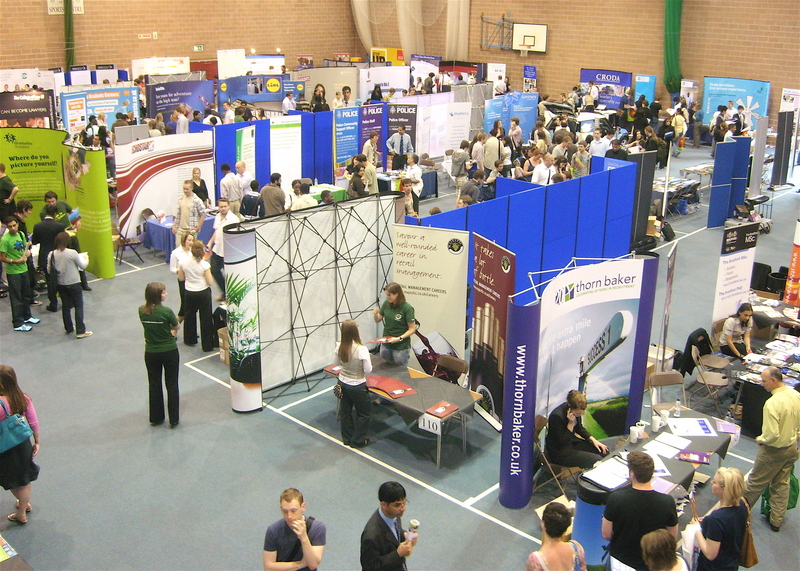 For more information on how to best prepare for a recruitment fair you can look back to our previous blog post; Will you be getting the most out of the Yorkshire Graduate Recruitment Fair 2013? Which offers some really useful advice on how to make the most of careers fairs. You can also find advice on our website, and the full list of employers that are attending the Autumn Jobs and Internships fair on it’s event page, so you can really look in to which employers you would like to speak to. You can also read Catherine’s full blog post about her day at the Making a Difference Fair. You can find Joel’s full blog post in our archives. Our student bloggers both agreed that going to a careers fair was really beneficial to both their confidence and their book of contacts! You could be reaping the benefits of the extensive networking opportunities that a fair can offer in just under a weeks time! The Autumn Graduate Jobs and Internships Fair is on 14th October 2013, you can beat the queues by signing up online before the event and printing off your ticket or showing it on your smartphone!